We specialise in delivering end-to-end book-making projects, from design, layout & composition through to content print through to binding & finishing the final product. Our ‘on-demand’ digital printing operations also can cater for short runs, ideal for a cost effective option, where small numbers are involved. We also provide a la carte services, any single or multiple aspects of the book-making process. This gives the client the option and freedom to provide any part of the requirement, such as completed designs, content print (part or whole), completed ‘inners’ (book blocks), materials etc. Please get in touch to find out how we can help you with your project. TOAD® Trade Services specialise in expert bookbinding and printing. We deliver both small book run alongside large corporate bookbinding orders. No matter how big or small your project, from a run of many 1,000s of units to a single individual book-making project, our production teams are ready to fulfil your requirements. Printing & Bookbinding Services. UK Bookbinders. Flexible Service - Fast Lead Times. Our in-house design team will help you originate your book content, either working to your brief or receiving finished or near-finished artwork and compositions from your own chosen team (in-house or agency). We have a wide range of content templates to choose from or use as a basis for your own bespoke needs. These templates cover such propositions as log-books, academic planners, diaries, journals, specialised notebooks and much, much more. Perfect Binding is the method used to bind paperback books and high quality magazine publications… think National Geographic. It’s a superb looking binding option, but also creates a durable finished product. All our perfect bound books are made with top quality materials by our highly skilled staff members and go through thorough quality checks to ensure you get the perfect finished product. We offer both wiro-binding and spiral-binding services, really popular as a cost effective binding treatment. Spiral enclosures are commonly used for everyday diaries and promotional books. The spiral option is often used for school planners as it gives a more sturdy finish with a fastening loop at the end of the book. Wiro-binding on the other hand can come in many different colours giving choice and flexibility to the product you need producing. Also know as hardback or case binding, Hardcover Binding is one of the most popular and durable materials that books can be made from. One option we provide is a hardback P.P.C finish (Printed Paper Covers) that enables full colour bespoke branding and cover detail. Other options include quality material, leather and leather-look finishes, which can be foil-blocked from a variety of foil colours or embossed in a chosen manner. Speaking into tradition and quality, these are bindings and finishes designed to give a lasting impression… and to last a lifetime. Digital printing is ideal for short-to-medium runs because there are minimal setup costs involved. Our top quality digital print presses provide excellent resolution and output, meaning that it’s now easier and cheaper than ever to be able to purchase a short run of quality books. Litho printing provides the most cost effective option for large runs because it is the cheaper option per printed page. Litho technology also has traditionally had the advantage of being the most accurate and higher quality option. So large runs that need to be ‘pin perfect’ will benefit from this timeless printing technology. Our materials and finishing options are equally extensive and include leather, leather-look, vinyl, fabric, as well as a complete range of paper cover and quality card treatments. There is a wide variety of finishing touches and treatments that include foil blocking, ‘blind embossing’, leather stamping, inclusion of ribbon markers, bands, attractive header strips and more. Big or small, no matter the size of your project, simply call or email Chris Booth, our book binding specialist. He has 38 years experience in the book-binding business and he'll deal with all your queries in an expert and helpful manner. 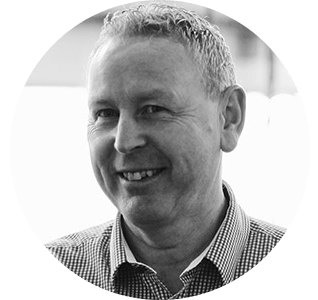 Chris will then work closely with you to oversee your project from start to finish, making sure you get the right results every time. He will be able to talk you through the many printing and binding options we have available, which ones will work best for you and also the comparative costings. Our team of seasoned professionals range from master book-making craftsmen through to graphic designers and print specialists. The team comprises highly skilled set of individuals whose greatest strength is their combined experience stretching to hundreds of years. We provide the best of both worlds in terms of value-for-money and finished quality by using traditional techniques and materials, alongside modern cutting-edge technology. Put simply… we always deliver the highest quality with all our book printing and binding projects.